Head over to our Facebook page for your chance to WIN!! 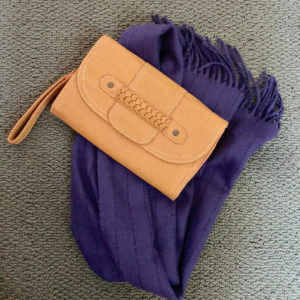 Three actions and you might win this upscale, wrist-clutch and scarf. LIKE, COMMENT and SHARE. Purple Pashmina type scarf. Oblong shape. Very soft fabric – feels cozy on your neck. Yummy color is richer that it appears in the photo – a true royal purple with almost invisible dark grey stripes at every inch. New. Gold clutch with wrist strap and magnetic clasp. Little wear, no scratches. A good neutral – goes with everything. 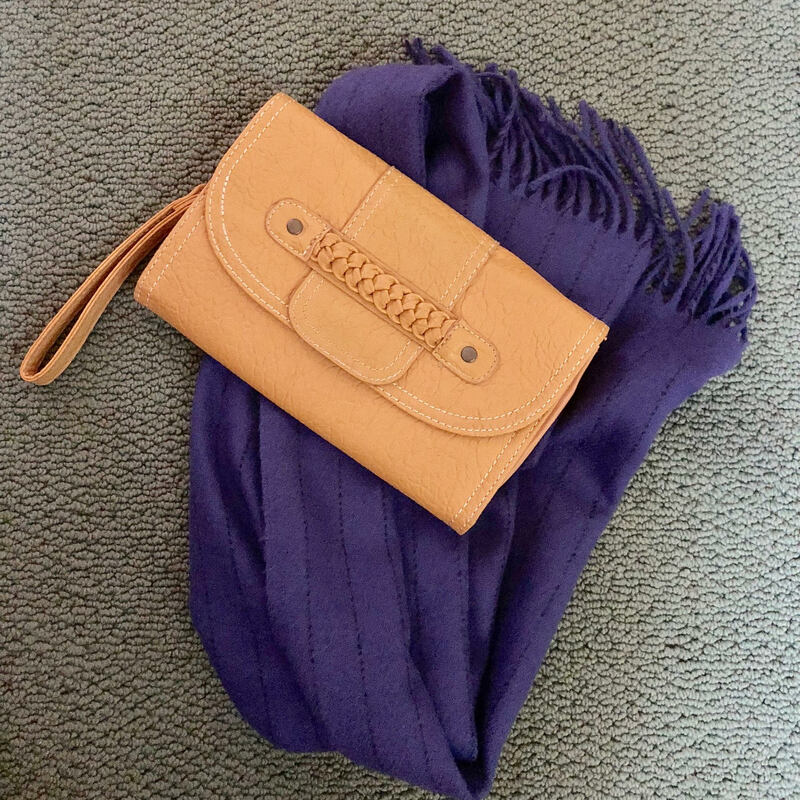 If you carry a tote this is the perfect wallet for “grab and go.” Sometimes, when you make a stop at the grocery store, grab this out of your purse, put it on your wrist and go. Great condition. Has three compartments plus a place for credit cards, photo ID and cash.